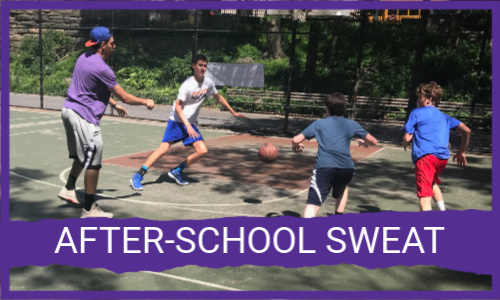 Join us for After-School SWEAT! Brief Description: Spring season runs 8 weeks. Drills, skills, individual fundamentals, conditioning. Team teaching points then time to scrimmage, play 1-on-1, 2-on-2, 3-on-3.